When looking for a promotional giveaway for your business, don't overlook a simple solution! 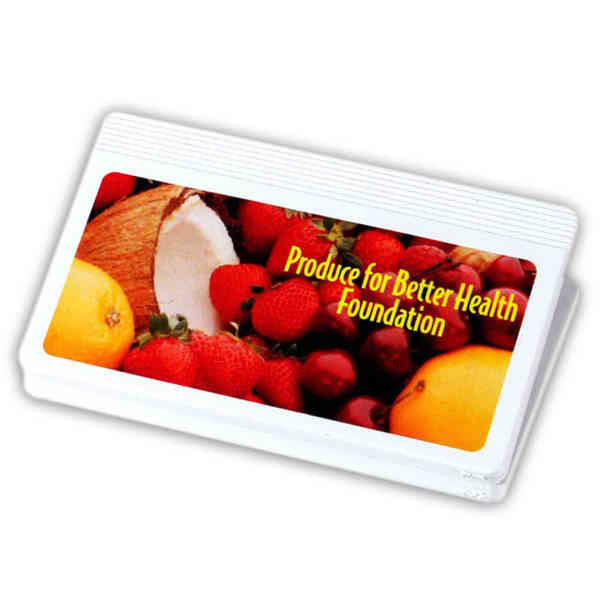 This 4" magnetic memo clip features a strong 60 mil magnet and a white background with full color digital imprinting to help make your ad message more effective. These desk accessories are USA made and come individually polybagged for added convenience when giving them out during tradeshows. A classic promotion for any industry, project or message! Size: 2 3/8 " x 4 "